Produced by Interact MCR in association with the Manchester Salon as a Battle of Ideas satellite event. ANGELA NAGLE KILL ALL NORMIES: THE ALT-RIGHT AND ONLINE ACTIVISM. Provocation lecture by Angela Nagle with Dr Cheryl Hudson responding. 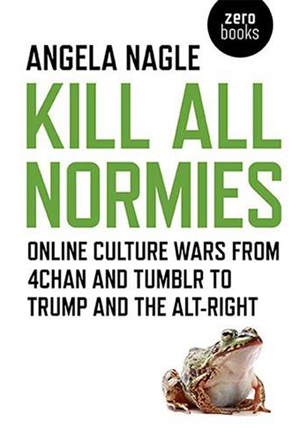 In her new book, ‘Kill All Normies’ Angela Nagle untangles the new culture wars raging on the internet: on the one side the “alt right”, which ranges from white separatist movements, to geeky subcultures like 4chan, to more mainstream manifestations such as the Trump-supporting gay libertarian Milo Yiannopolous. On the other side, so-called ‘social justice warriors’, whose progressive, identity politics fuelled campaigns are often seen as little more than virtue signalling and also associated with closing down debate by claiming offence, using the therapeutic language of trigger warnings and safe spaces. Now, after the disturbing violence and racism in Charlottesville, which claimed the life of a protestor, it seems such battles are no longer confined to social media and internet culture, while alt-right style tactics, if not politics, has become internationalised. There are increasing concerns about ever more violent online hate speech, trolling of opponents and toxic discourse in UK politics across the political spectrum. What is the significance of the broader alt-right phenomenon? Is this loose term – used to describe a disparate group of ‘anti-PC’ internet crusaders – helpful in understanding contemporary politics? How should progressives deal with the online culture wars: ignore, block, or join in? IDENTITY POLITICS: A NEW CULTURE WAR? Discussion panel with Kwame Amoah Mensah, Angela Nagle and Ella Whelan. Loved and loathed, it seems Identity Politics are inescapable in contemporary political discourse. To some, identarian politics represent the antithesis of liberal ideals and a divisive force in society. To others, the political embrace of the personal is a vital tool in the struggle against oppressive institutions and practices. On the eve of the fiftieth anniversary of the assassination of Dr Martin Luther King, Jr, some fear his dream that his children would “not be judged by the color of their skin, but by the content of their character” is betrayed by focusing on the differences we are born with, be that race, gender or sexuality. In his book, Humanism Betrayed, Professor Graham Good calls it ‘The New Sectarianism’. Conversely, identities are often embraced and championed as a political tactic to take on privilege and power, and to help make discrimination visible. Meanwhile Identity Politics is closely associated with intensifying free speech disputes, especially on university campuses. Various high profile de-platformings and campus controversies that have permeated the national news are justified by invoking the need to protect any given identity groups from harmful speech and opinions. With the embrace, and rejection, of Identity politics increasingly at the centre of new cultural and political movements, is a new dividing line in contemporary politics emerging? And if so, is this a progressive development or a grave mistake? In Texture, 67 Lever Street, Manchester, M1 1FL. If you're familiar with the area, it's towards the far end of Lever Street away from Piccadilly Gardens. Please arrive in plenty of time ahead of the start time for each discussion. Tickets are £8 for both sessions or £5 for an individual session, payable in advance, and should be booked online via Eventbrite by clicking on this Angela Nagle: Kill All Normies link. This discussion, including audience comments, will hopefully be recorded and made available online as a reference resource. 2016 was a divisive and frankly bananas year, with all political assumptions and accepted truths tossed out of the window. People have succumbed to easy black and white dividing lines, disappearing into the maelstrom of and their own internet bunker echo chambers. This is why it’s vital we Interact. Interact is a new monthly discussion event, looking at key themes from across the political and cultural spectrum. 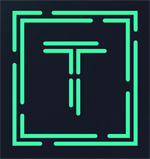 Bringing expert speakers and audience together to escape from their echo chambers. To hear things that you will agree with and some things that you won’t. We’re hoping a conflict of ideas can create better ones. Even the most banal ideas were radical once. Whatever your opinion, we want you to Interact. This discussion is a satellite event of the prestigious Battle of Ideas 2017 weekend festival of ideas being held on 28 and 29 October 2017, hosted by the Barbican, London. Now in its thirteenth year, the Battle of Ideas festival comprises 350 speakers at 100+ debates and satellite discussions confronting society’s big issues and unresolved questions. It affords the opportunity for some clear thinking, rational debate and agenda-setting - above all, it's future-orientated, whilst retaining a healthy regard for the past achievements of humanity.